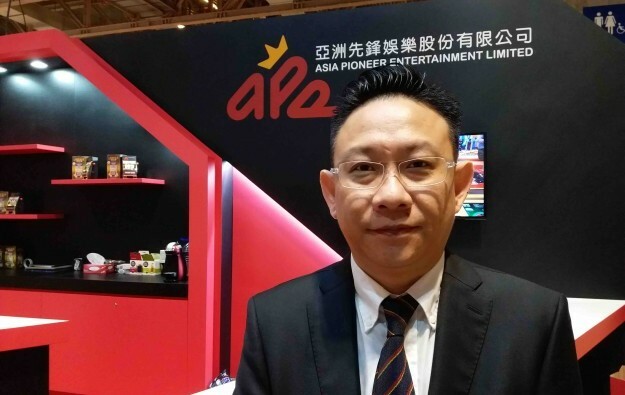 Macau-registered electronic gaming equipment distributor Asia Pioneer Entertainment Ltd told GGRAsia that the scheduled listing today, Wednesday, of its shares on Hong Kong’s small-cap index, the Growth Enterprise Market, had been fully supported by subscribers. Asia Pioneer announced in late October plans to realise at least HKD50.2 million (US$6.4 million) by offering 250 million shares on the Hong Kong Stock Exchange. “It was fully subscribed, with shares priced in the range of HKD0.24 to HKD0.36,” Herman Ng Man Ho (pictured), APE’s managing director, said on Tuesday at MGS Entertainment Show 2017 in Macau, on the eve of the listing. Mr Ng said part of the firm’s commercial model involved acting as a clearing business for casino slot machines reaching the end of their life in the Macau market, in order to sell them on to other markets. “Under Macau regulations, when an operator takes a machine off the floor, it cannot be kept in the casino operator’s own warehouse. It has to leave the operator’s premises,” explained the executive. “The strategy of APE for refurbished machines is we will source machines from Macau only. Buy them cheap, store them in our warehouse, enhance them and then wait for a good price and a good customer and then sell,” said the executive. As of the end of the third quarter, there were 16,310 slot machines in active use in the Macau market, according to the gaming bureau. “Ten to 20 percent per year” reach the end of their Macau market life, stated Mr Ng. “If I only get 10 percent of that 20 percent, I have enough,” he added. “We work with all the [Macau] concessionaires” in this field, the executive told GGRAsia. In papers submitted by APE in March for its listing, the firm said research commissioned from China Insights Consultancy Ltd indicated that between 2016 and 2020 there would be growing regional demand in several Asian countries – including the Philippines, Malaysia, Cambodia, South Korea and Vietnam – for electronic gaming equipment. In some of those markets, quality second-hand machines are currently sought-after items. 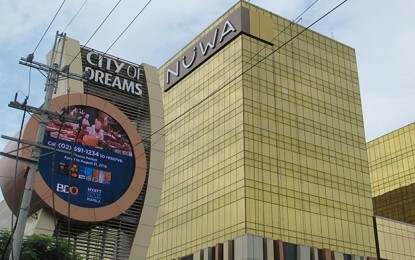 Some markets, such as Cambodia, have not yet passed casino legislation to regulate the industry. Others may have technical specifications for slot machines that may differ from Macau’s. Mr Ng explained that his company only contemplated reconfiguring the “back end” of a machine “once a final destination is determined” for the unit. 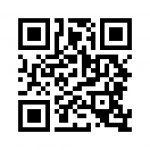 “We have a dedicated team of technicians for refurbishment, repair and sales. We have about 40 people and we are still growing,” explained Mr Ng. In terms of acting as an agent to bring new machines into Macau, he said APE’s main clients were Konami Gaming Inc, Taiwan’s Jumbo Technology Co Ltd, Slovenia-based Spintec d.o.o., and Aspect Gaming Ltd.
“We also act as a consultant for Sega Sammy [Creation Inc], but they have their own sales team,” said Mr Ng. The Macau government is planning to introduce next year new gaming machine regulations that include more stringent requirements for the supply and requisitioning of gaming machines, equipment and systems. This also offers market opportunity for APE, says Mr Ng. “If say a smaller company is looking to sell in Macau, they can come to us, because we can save them a lot of money. We have the knowledge. If they are unsure of the market, or only have a single product they are looking to sell, we can help them,” the managing director stated. “To do it by yourself [as a manufacturer] you have to get the licences, all the approvals, set up an office, hire locals. Altogether this could cost MOP5 million [US$622,000] to as much as MOP10 million per year,” he suggested. GGRAsia asked Mr Ng whether he expected the new gaming machine regulations to address the issue of operational links between gaming equipment makers and casino operators. In some North American markets, “revenue participation” – whereby the cost of a new machine for a casino operator is reduced in return for giving the supplier a share of the gaming revenue generated – is a permitted activity. The executive said that instead, his company offered what he termed “cooperation” with other companies in APE’s role as a distributor.